After a year and half or so in the role of Radio manager, Alana Mahony is leaving NG Media and Radio NGM to return home to new opportunities and family and friends. 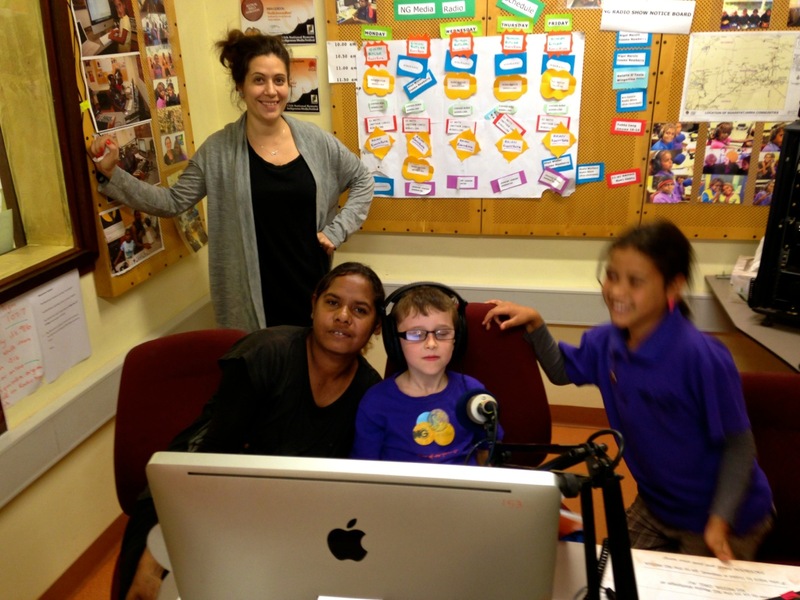 Alana came to work in NG Media's radio program in October 2012 and since then has overseen the launch of Radio NGM as a 24 hour radio station broadcasting locally produced content right across the Ngaanyatjarra lands. Around her has developed an amazing team of Yarnangu presenters who broadcast a range of programs from NG Media's main radio hub in Irrunytju and from radio rooms in a number of communities around the Ng lands. She has delivered radio training to schools around the lands and has trained and/or encouraged the many adults we hear on the airwaves - some complete novices, some very experienced. She is an extraordinary person to have around and she will be very much missed. We wish her all the best.